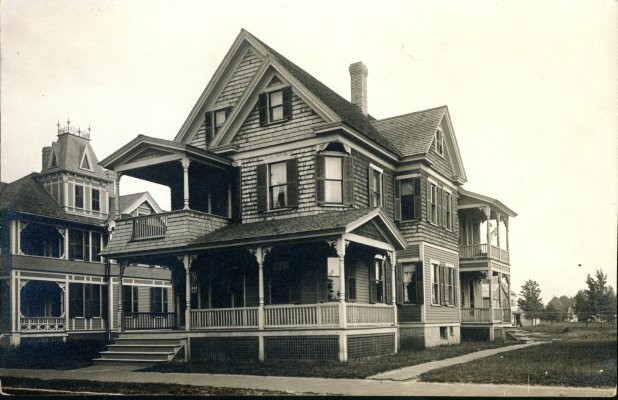 Still standing, in more or less the same condition, although the upstairs porch has been enclosed and the front porch railings have been replaced with brick. This house was identified visually due to the house next door. The business across the street was also photographed by Griswold & Steele, perhaps even on the same day. If you look closely, you can see a child in a 2nd floor window.